By Moritz Mueller-Freitag, Eleven Strategy. Good examples of the benefits of a narrow domain are again chatbots. Startups in this segment can choose between two go-to-market strategies: They can build horizontal assistants — bots that can help with a very large number of questions and immediate requests (examples are Viv, Magic,Awesome, Maluuba and Jam). Or they can create vertical assistants — bots that try to perform one specific, well-defined job extremely well (examples are x.ai, Clara, DigitalGenius, Kasisto, Meekan — and more recentlyGoButler/Angel.ai). While both approaches are valid, data collection is dramatically easier for startups that tackle closed-domain problems. Instead of using qualified employees (or interns) to manually collect or label data, startups can also crowdsource the process. Platforms like Amazon Mechanical Turk or CrowdFlower offer a way to clean up messy and incomplete data using an online workforce of millions of people. For example, VocalIQ (acquired by Apple in 2015) used Amazon’s Mechanical Turk to feed its digital assistant thousands of user queries. Workers can also be outsourced by employing other independent contractors (as done byClara or Facebook M). The necessary condition for using this approach is that the task can be clearly explained and is not too long/boring. Another tactic is to incentivize the public to voluntarily contribute data. An example is Snips, a Paris-based AI startup that uses this approach to get its hands on a certain type of data (confirmation emails for restaurants, hotels and airlines). Like other startups, Snips uses a gamified system where users are ranked on a leaderboard. 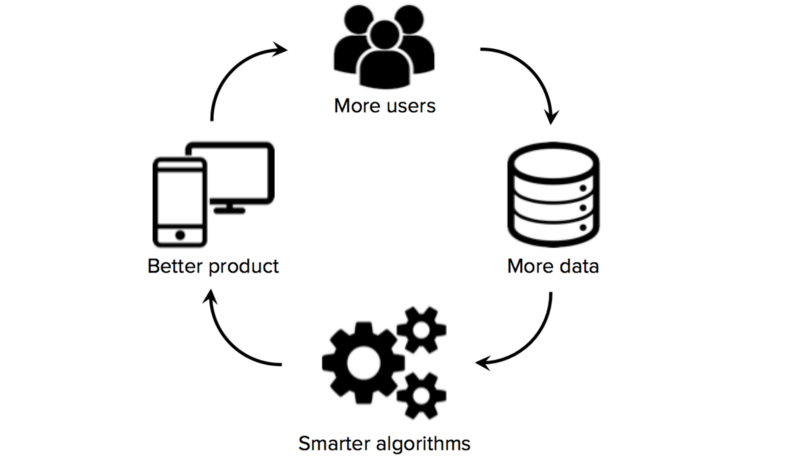 A crowdsourcing strategy that deserves its own category is user-in-the-loop.This approach involves designing products that provide the right incentives for users to give data back to the system. Two classic examples of companies that have used this approach for many of their products are Google(autocomplete in search, Google Translate, spam filters, etc.) and Facebook(users tagging friends in photos). Users are often unaware that they provide these companies with labeled data for free. Many startups in the machine learning space have drawn inspiration from Google and Facebook by creating products with a fault-tolerant UX that explicitly encourage users to correct machine errors. Particularly notable arereCAPTCHA and Duolingo (both founded by Luis von Ahn). Other examples include Unbabel, Wit.ai and Mapillary. A strategy that seems to be particularly popular among computer vision startups is to offer a free, domain-specific mobile app that targets consumers. 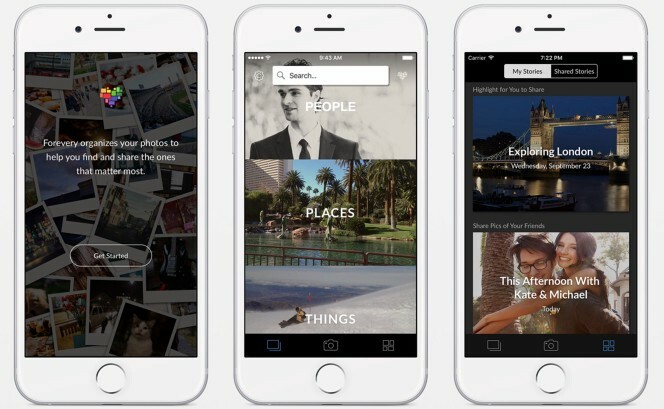 Clarifai, HyperVerge and Madbits (acquired by Twitter in 2014) have all pursued this strategy by offering photo apps that gather additional image data for their core business. This strategy is not completely without risk (after all, it costs time and money to successfully develop and promote an app). Startups must also ensure that they create a strong enough use case that compels users to give up their data, even if the service lacks the benefits of data network effects in the beginning.